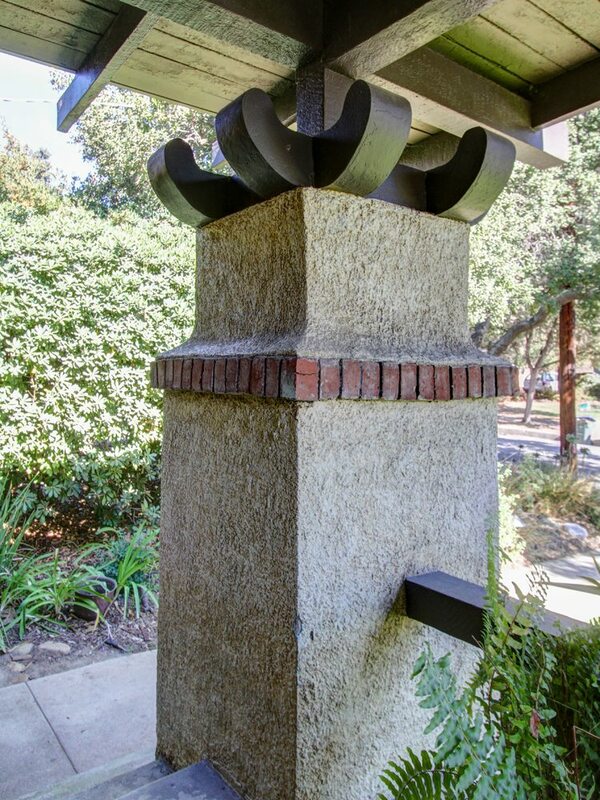 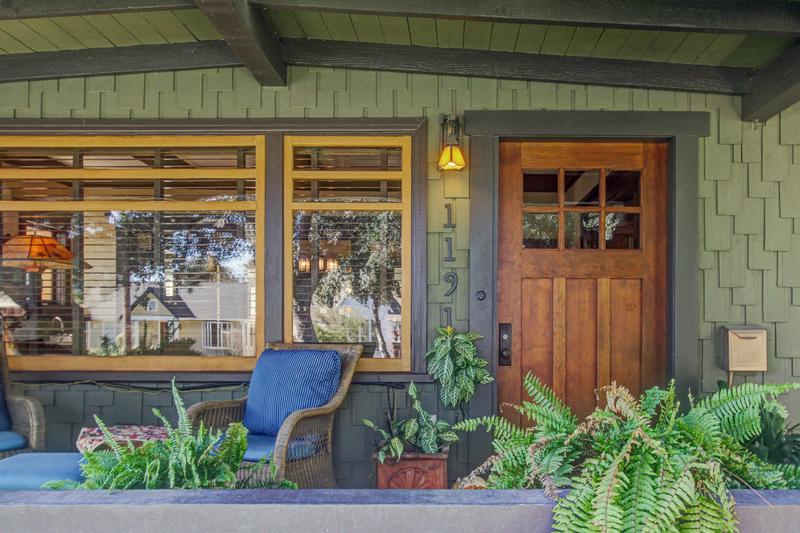 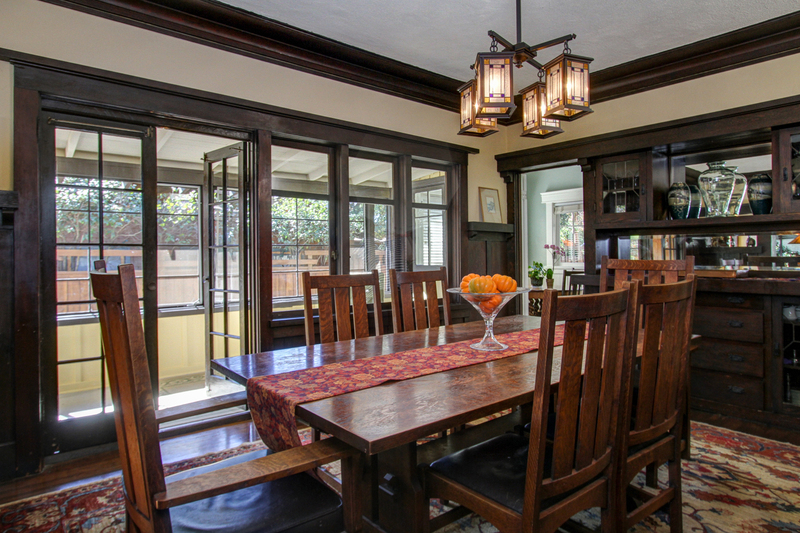 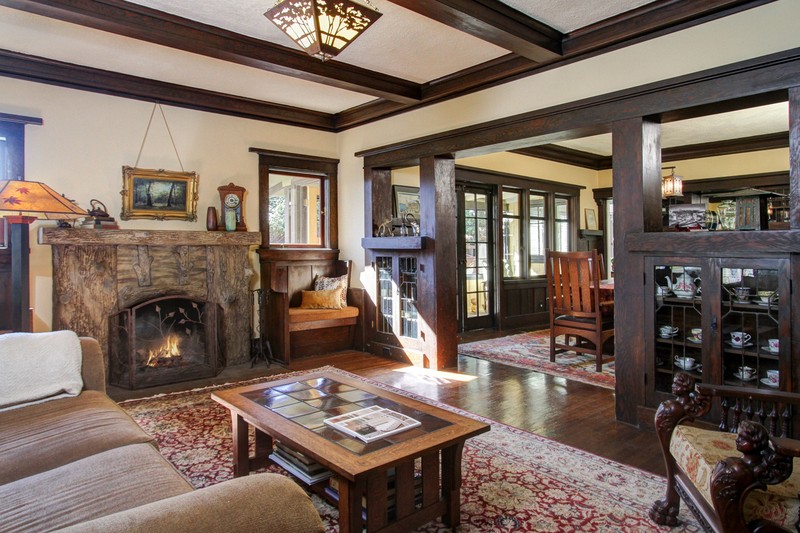 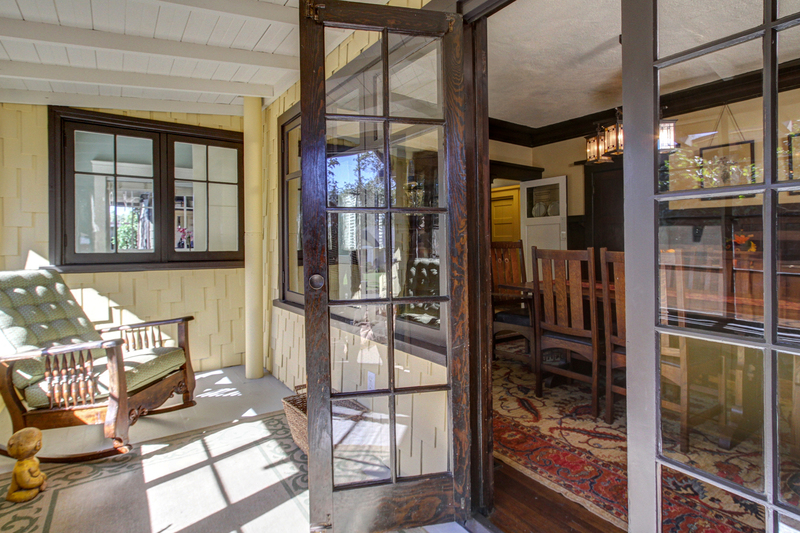 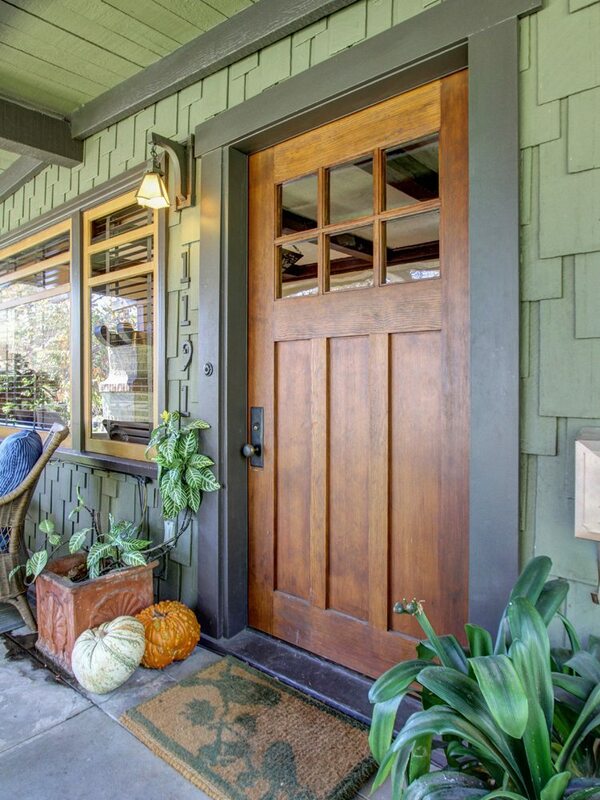 Sold for a RECORD price: This remarkable 1912 Craftsman, designed by architect Norman F. Marsh, is a prime example of the builder’s art, enlarged and sensitively adapted to today’s lifestyle. 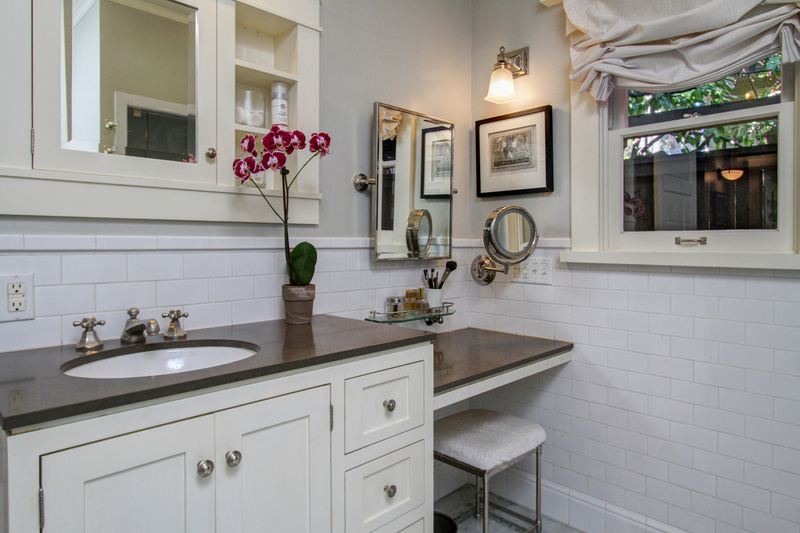 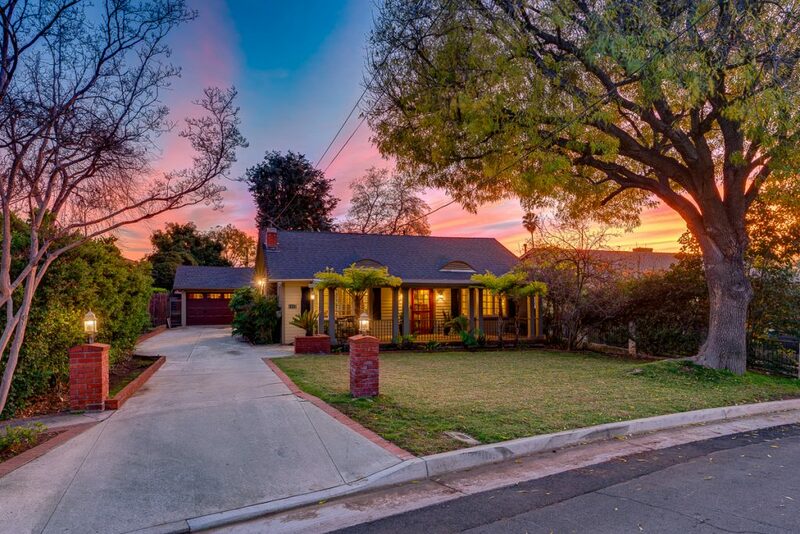 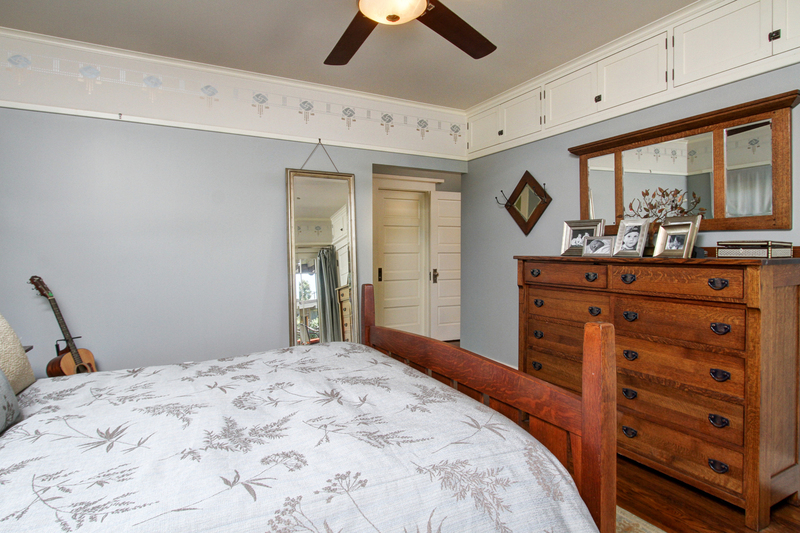 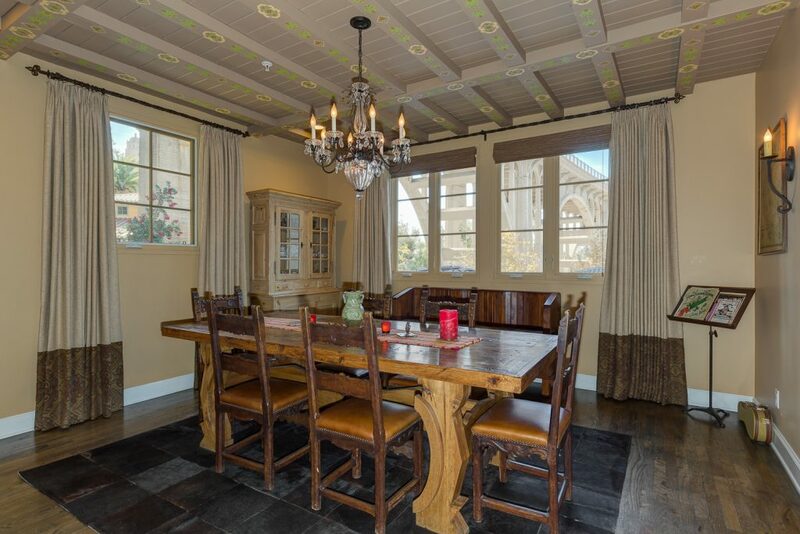 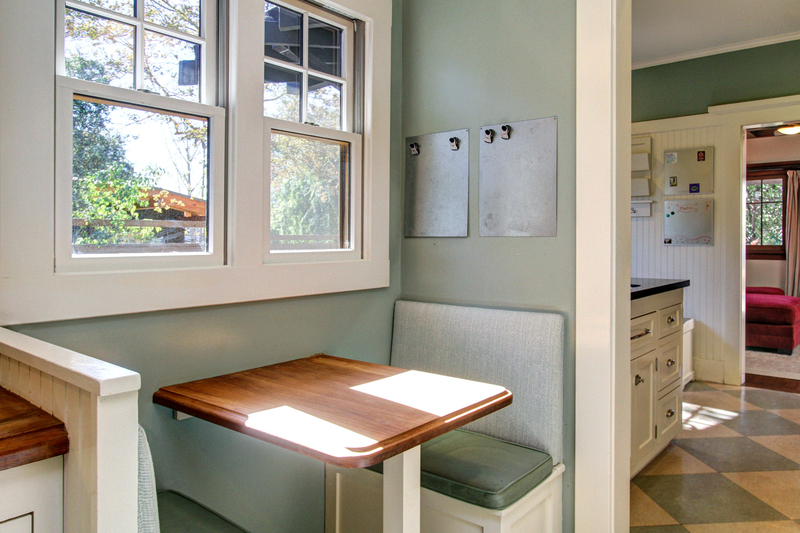 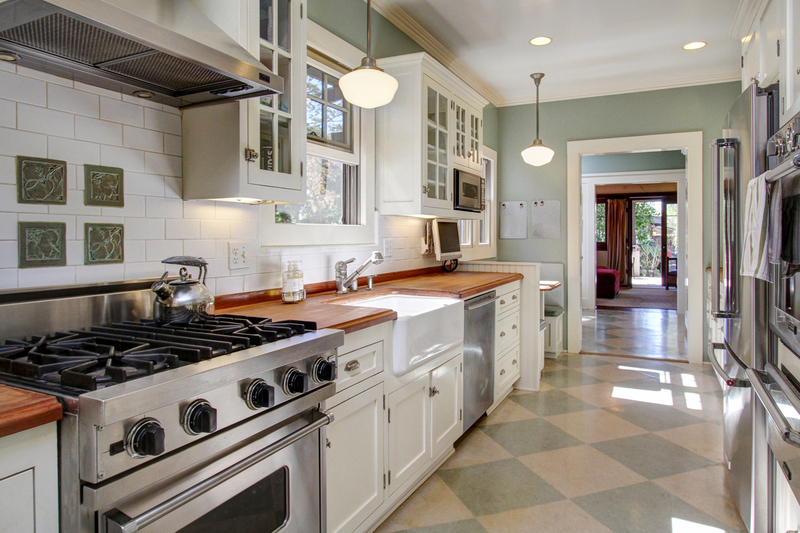 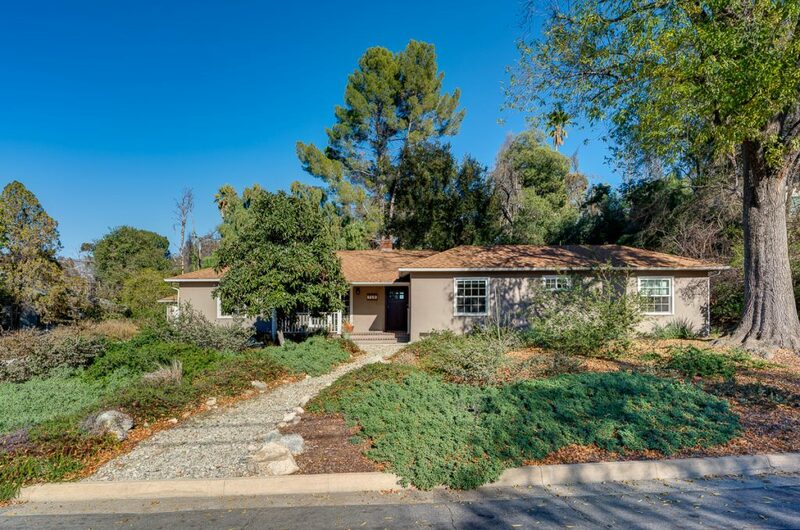 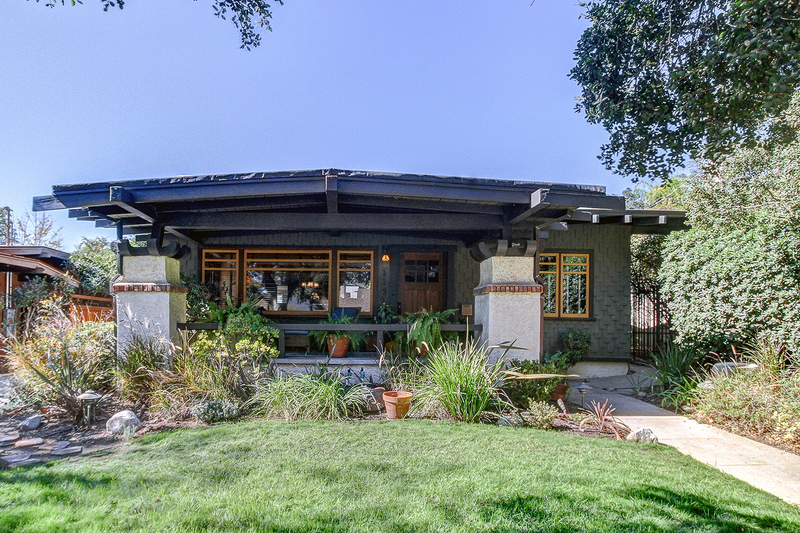 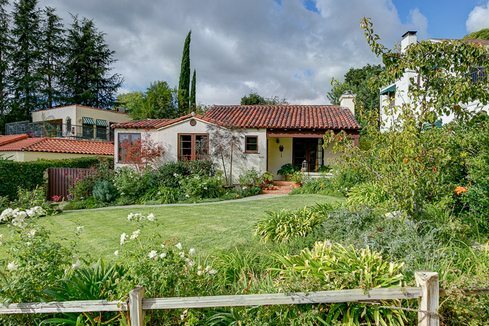 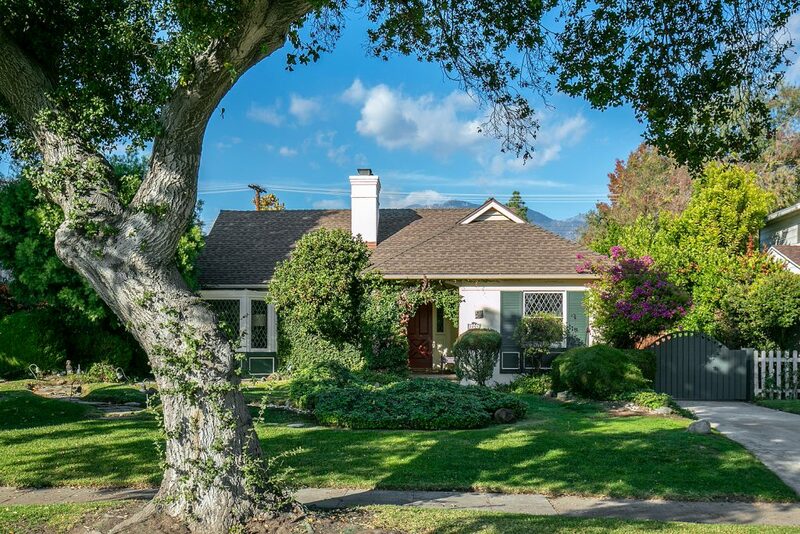 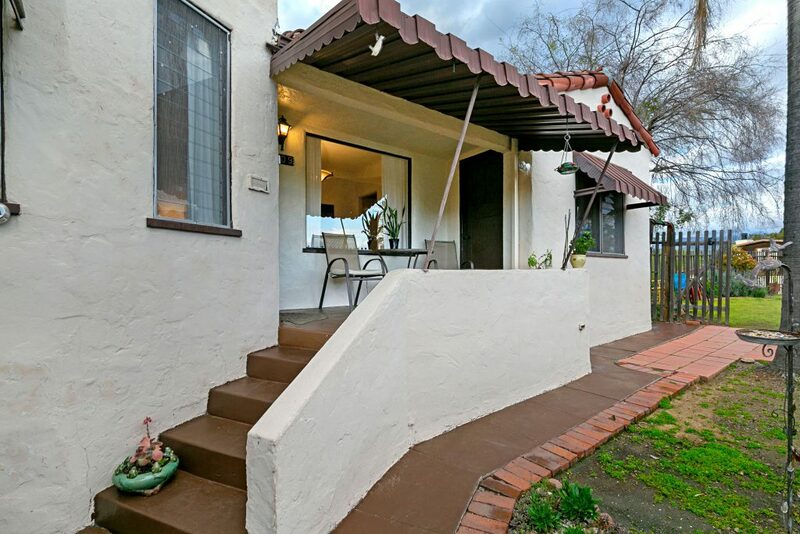 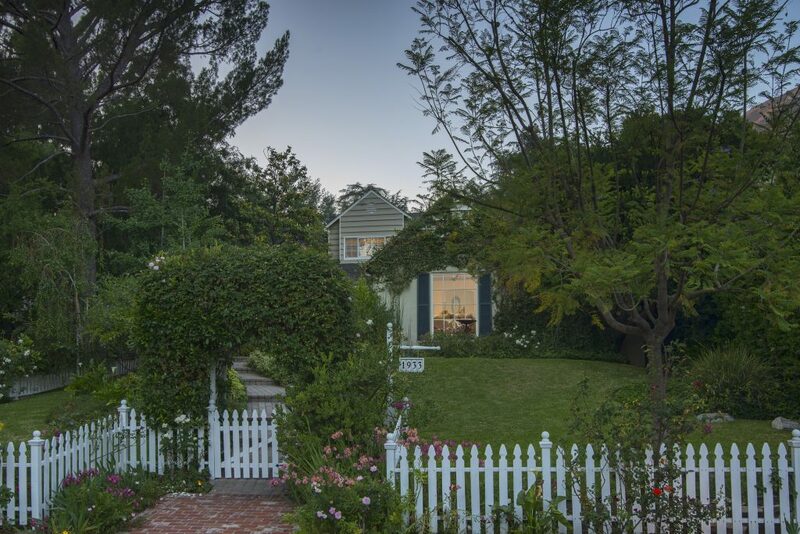 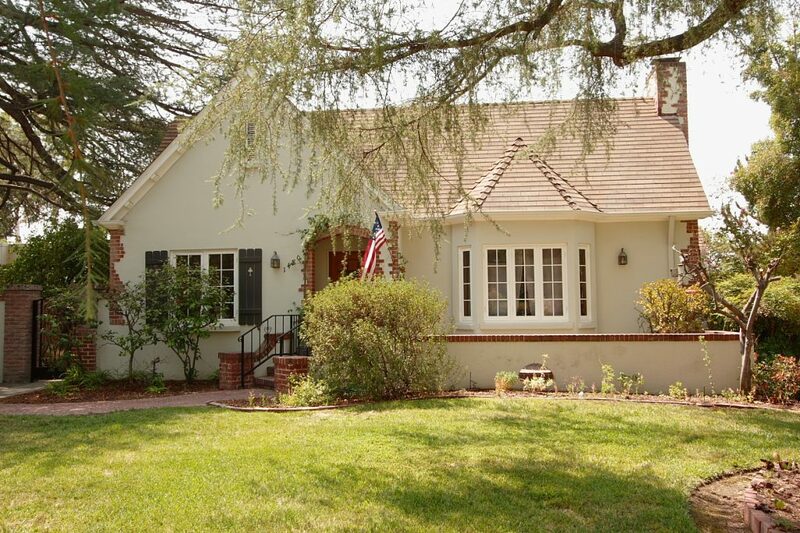 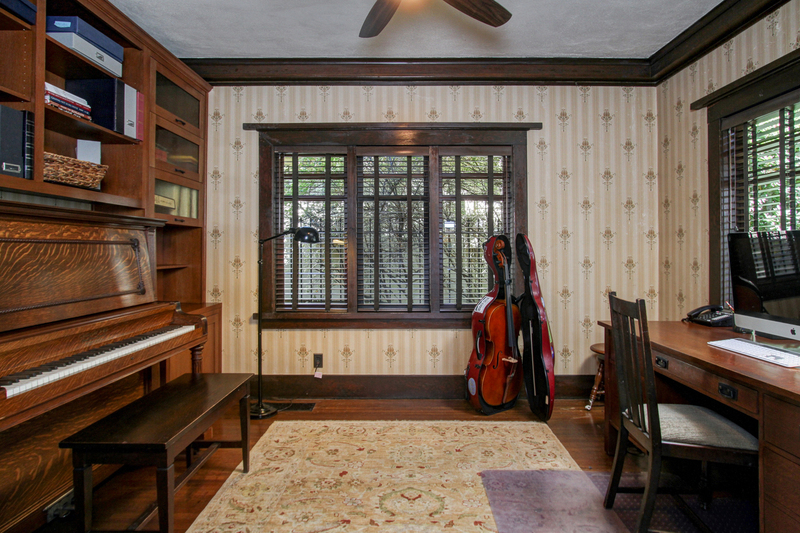 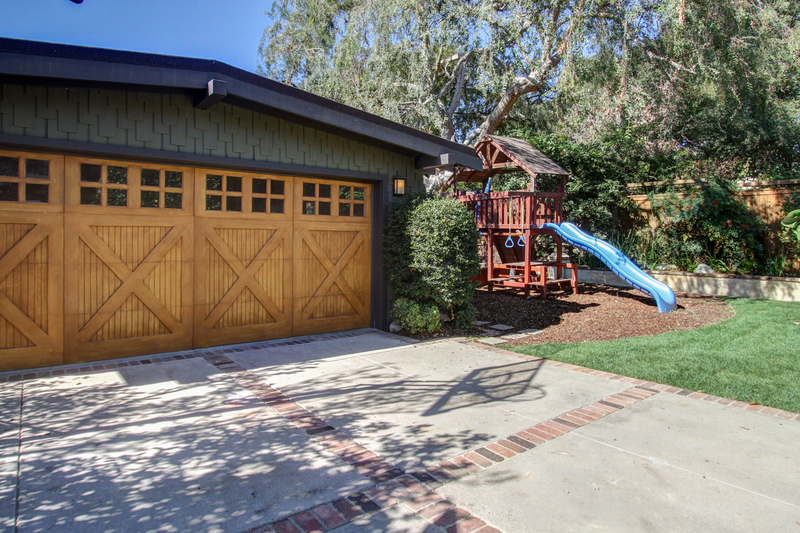 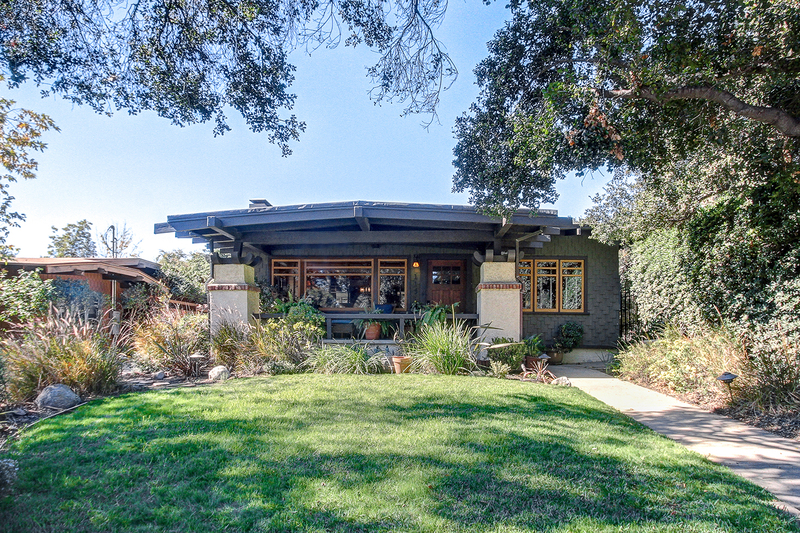 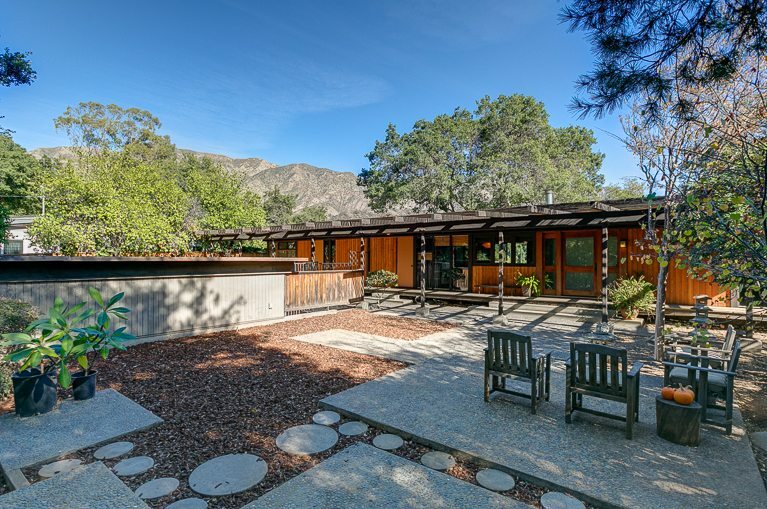 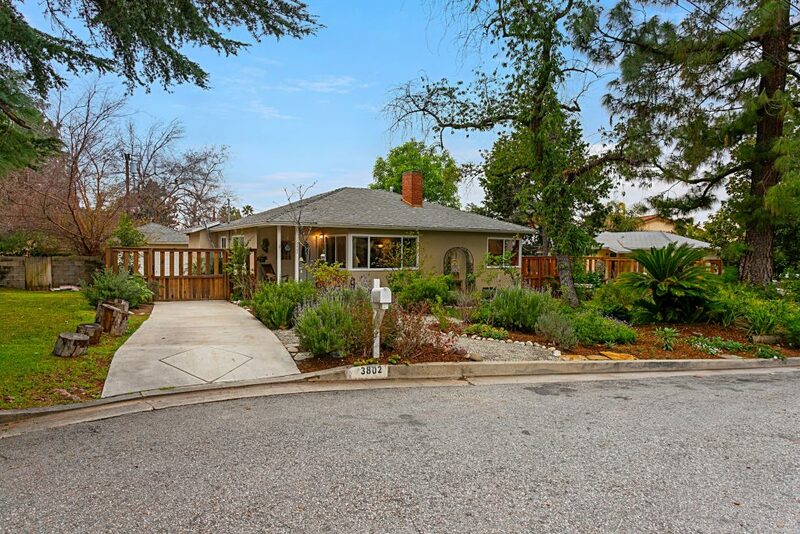 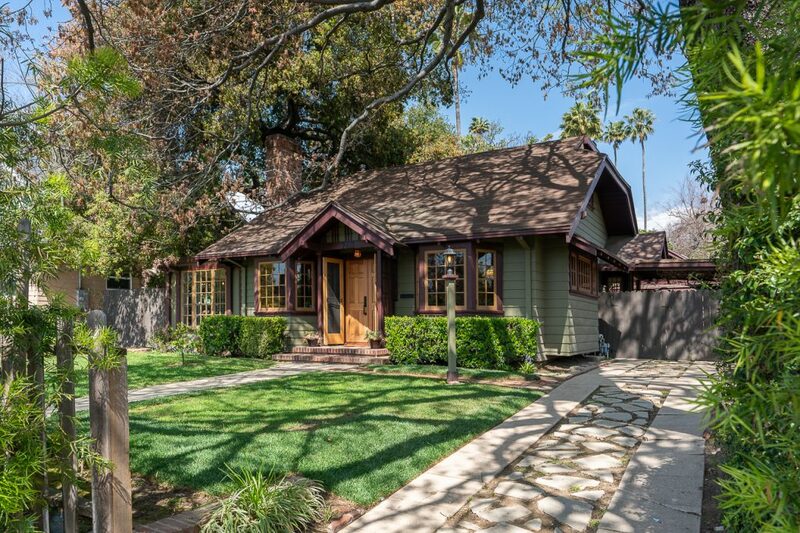 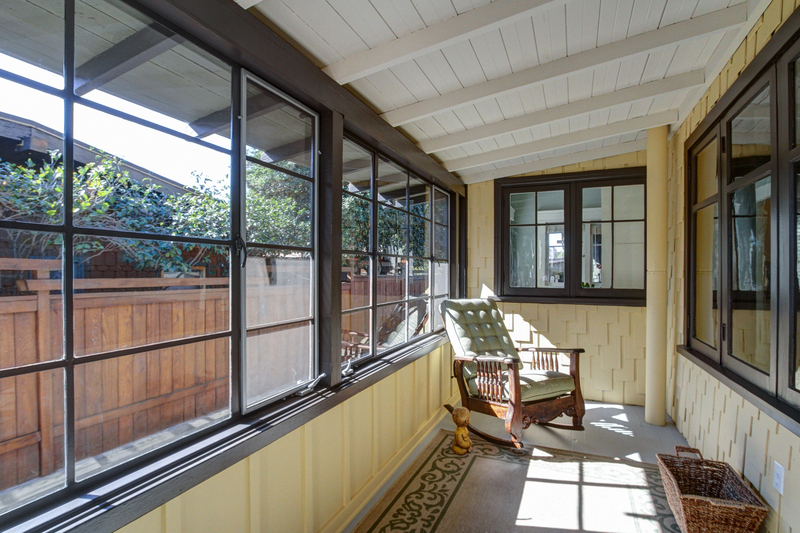 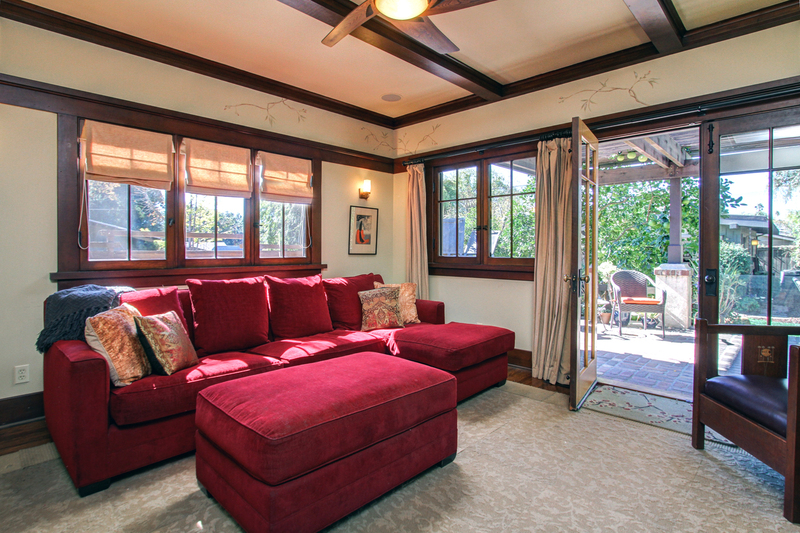 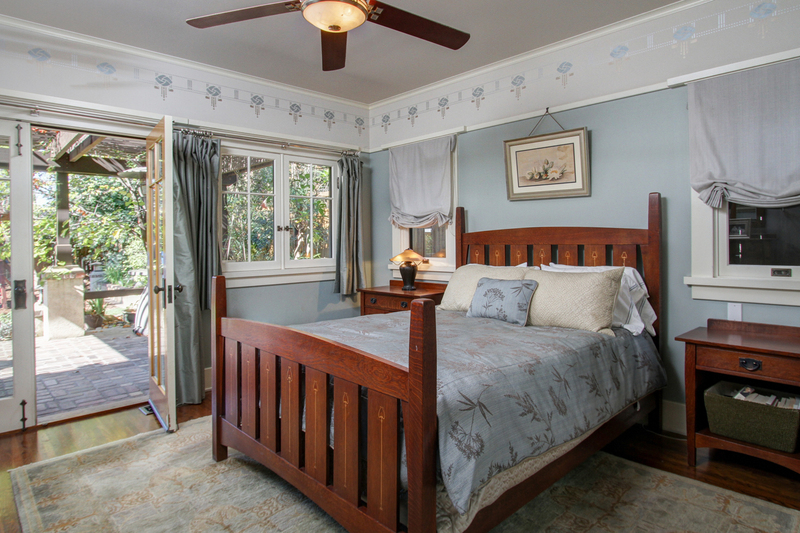 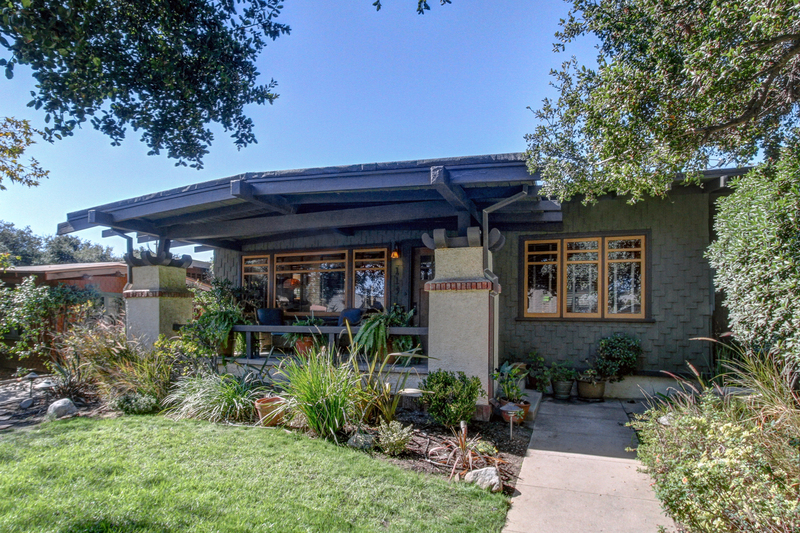 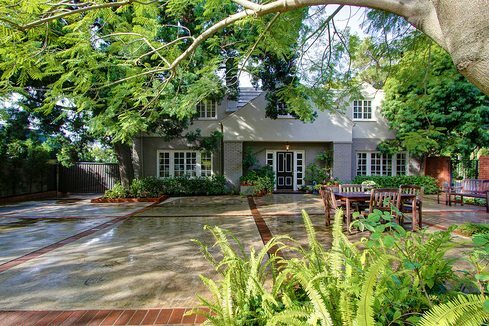 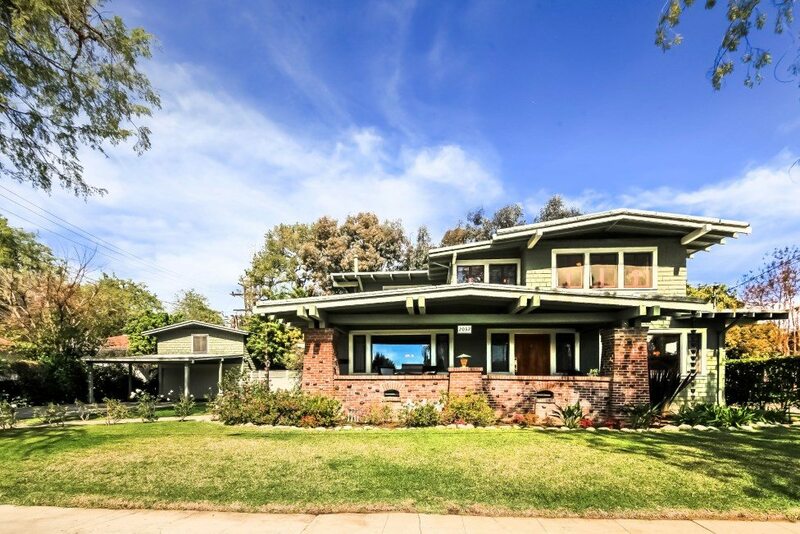 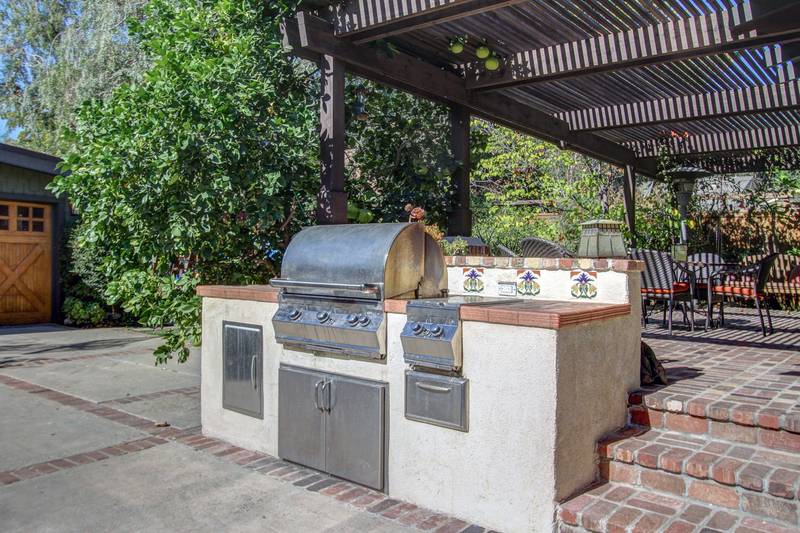 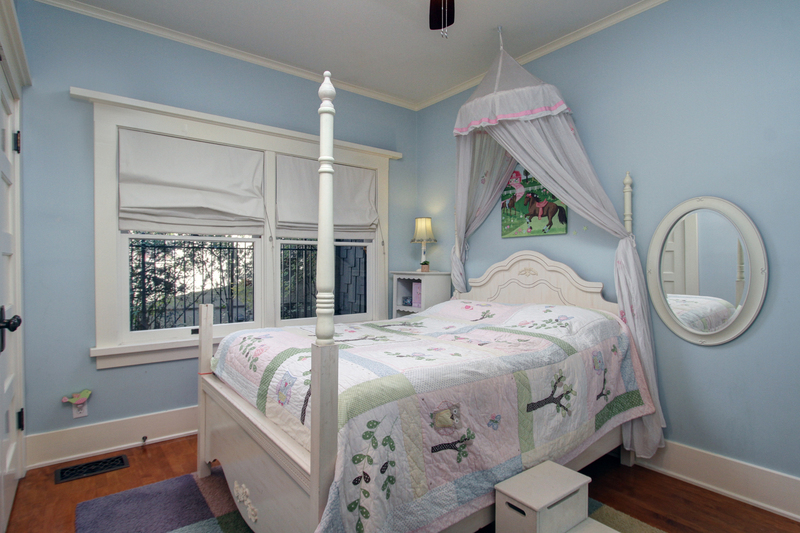 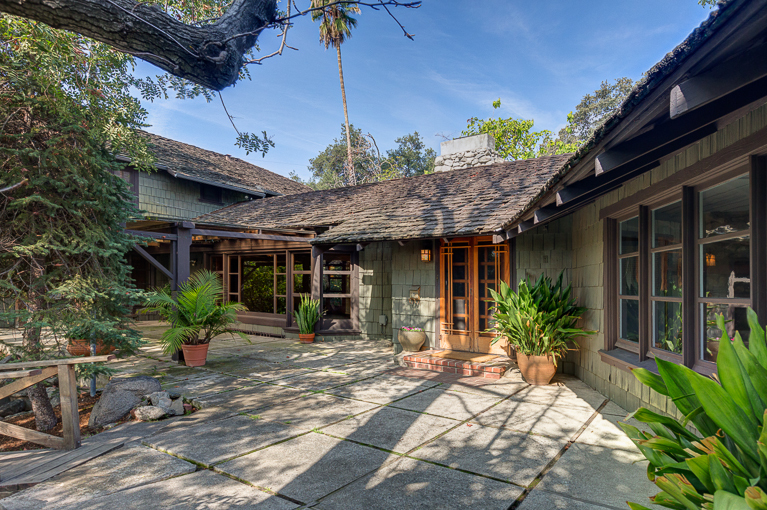 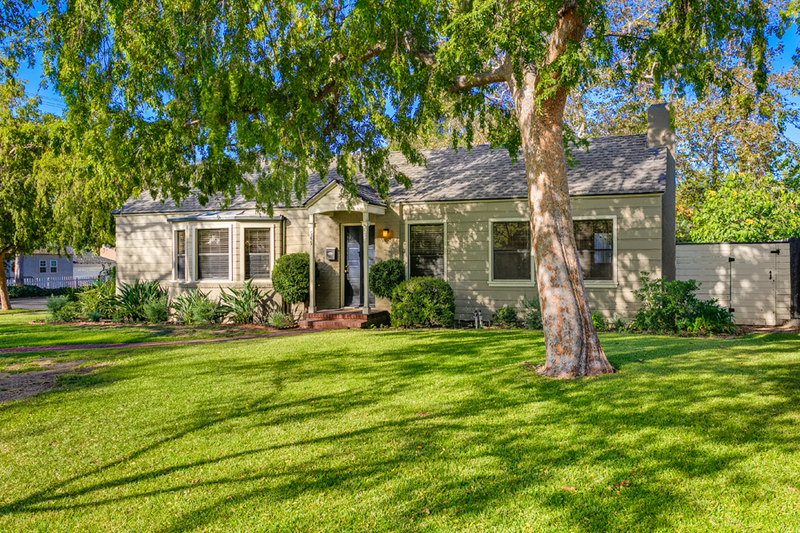 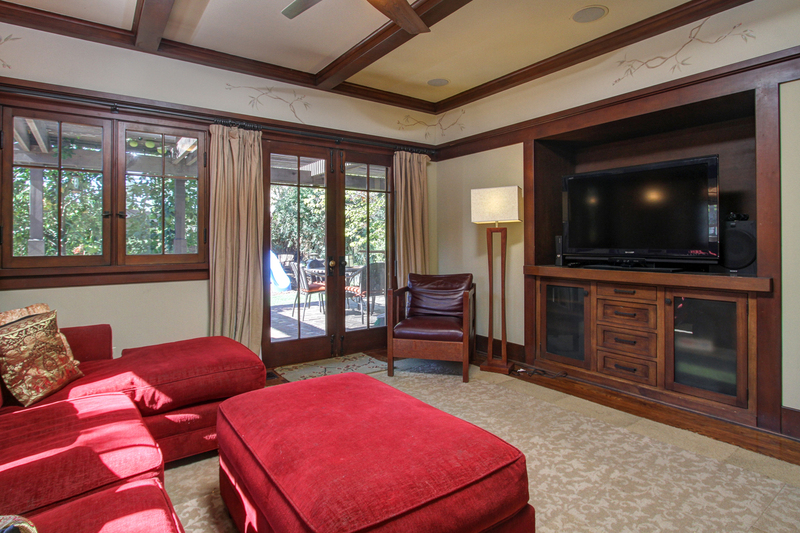 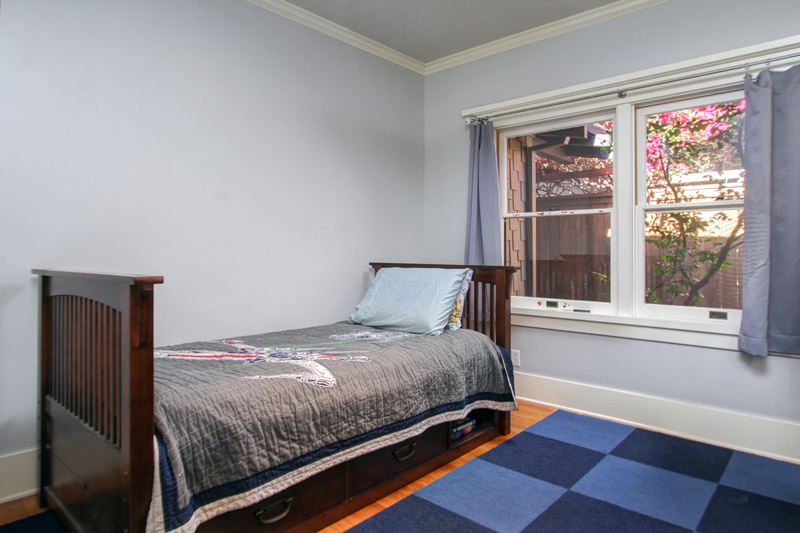 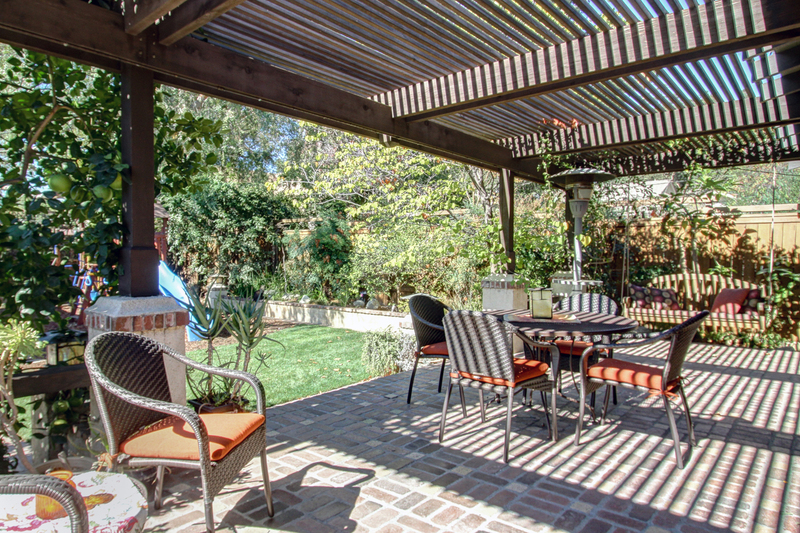 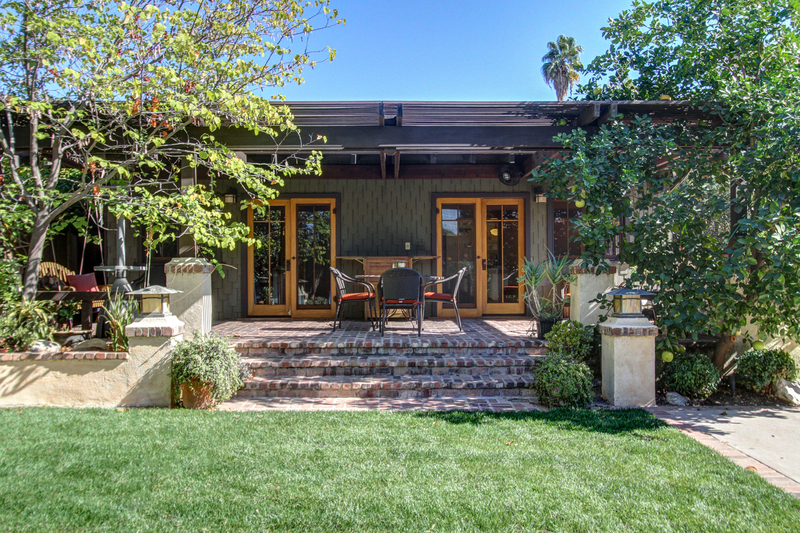 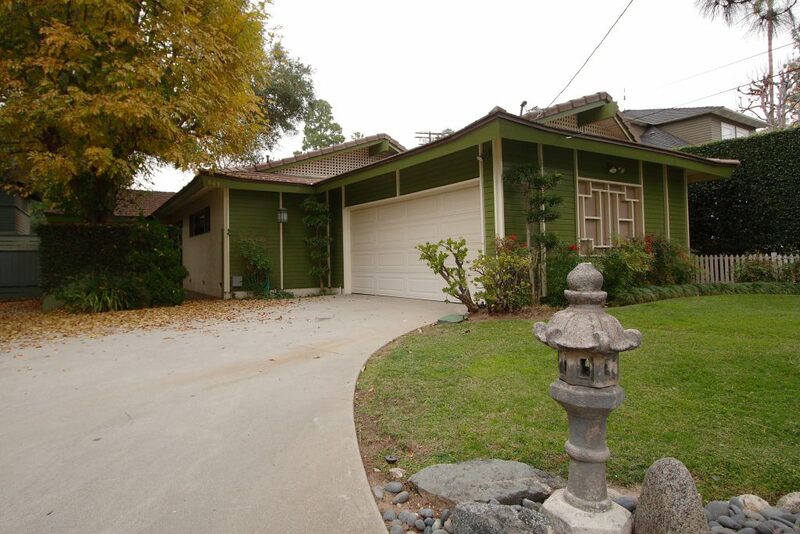 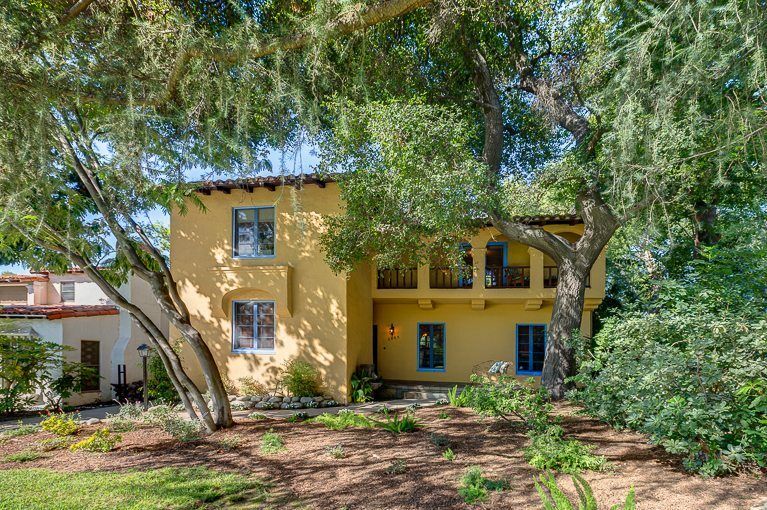 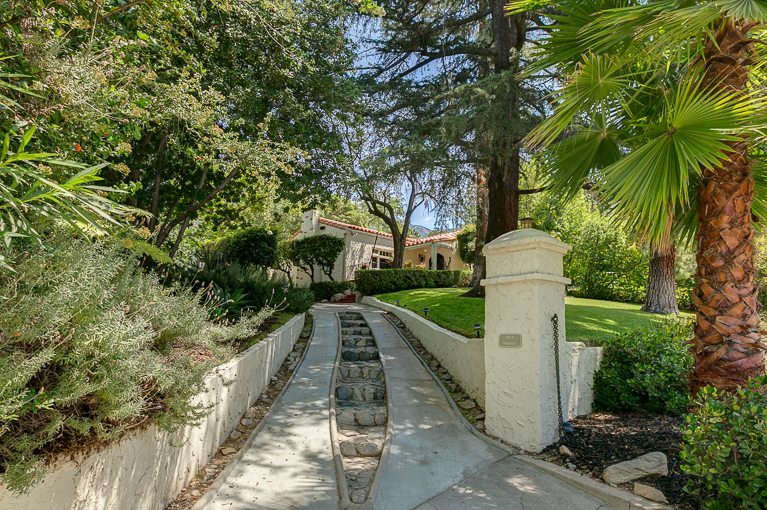 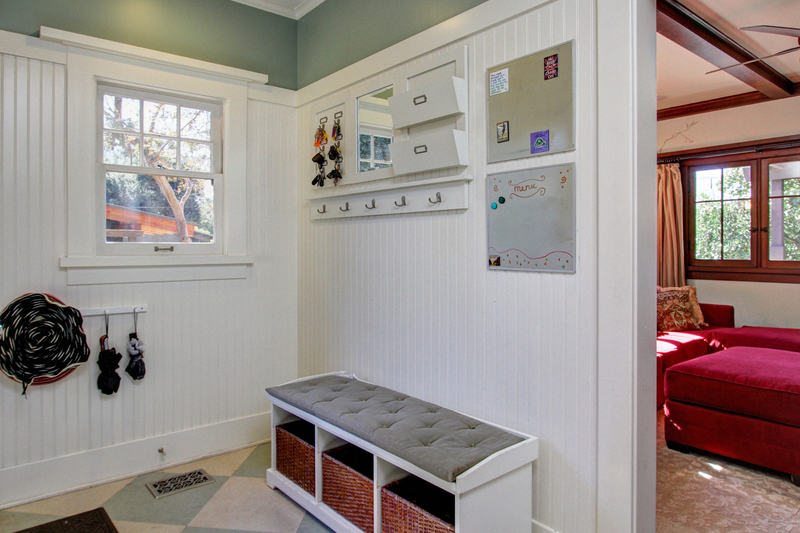 Located in Pasadena’s premier Landmark District, Bungalow Heaven, it has been featured on the 2002 tour and published in American Bungalow magazine. 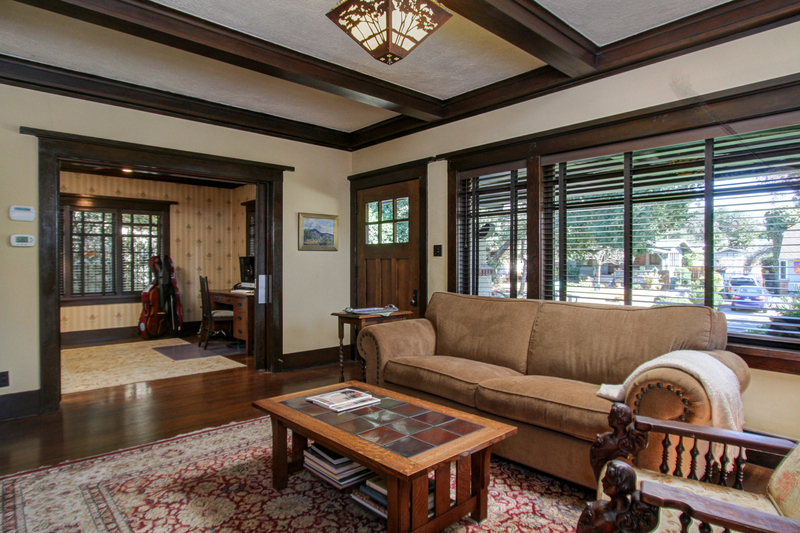 Its classic floor plan offers four bedrooms, two full baths, formal dining room with adjacent sunroom, breakfast room and family room. 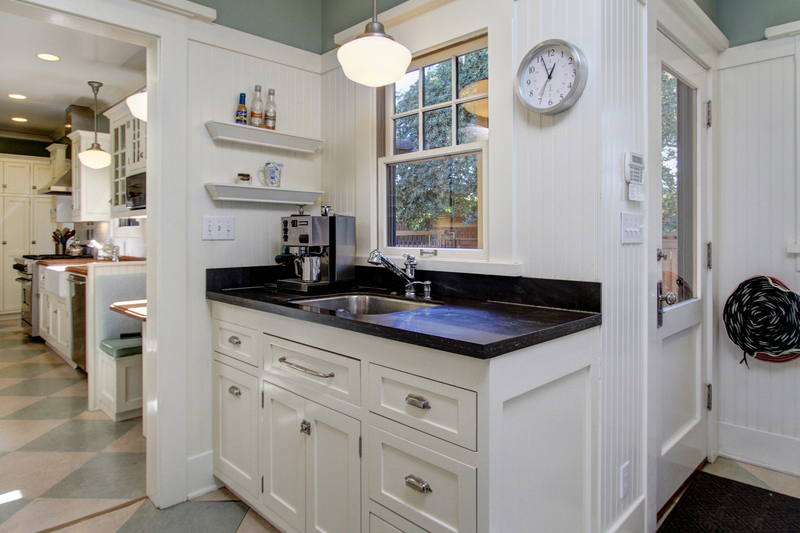 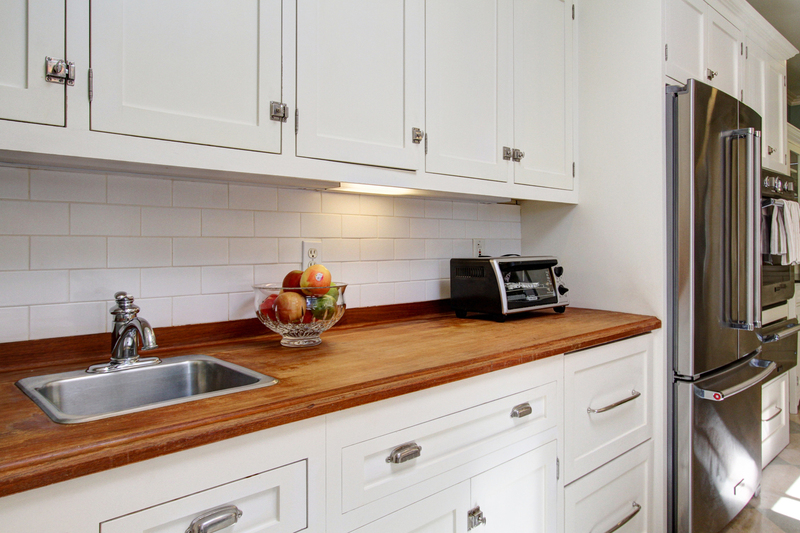 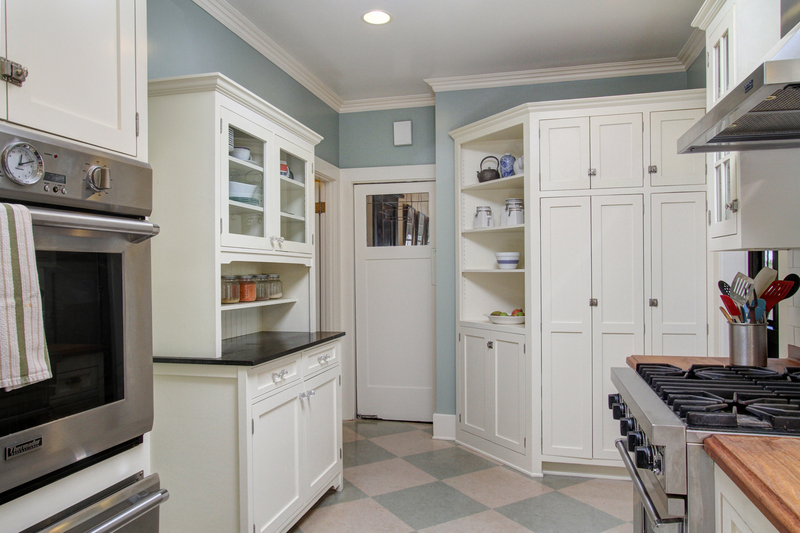 The gourmet kitchen has custom cabinetry, professional grade appliances, soapstone and teak counters, farmhouse sink and built-in banquet. 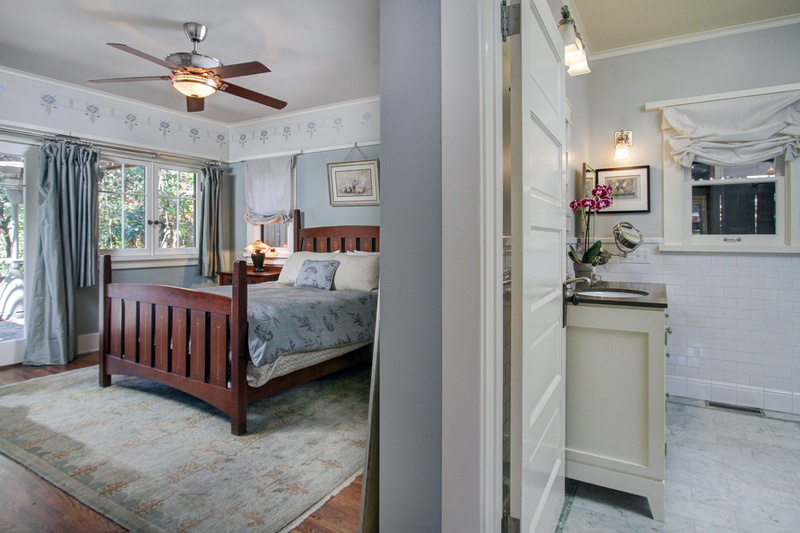 The master bedroom encompasses a large walk-in closet and a beautifully appointed bath with steam shower and separate soaking tub. 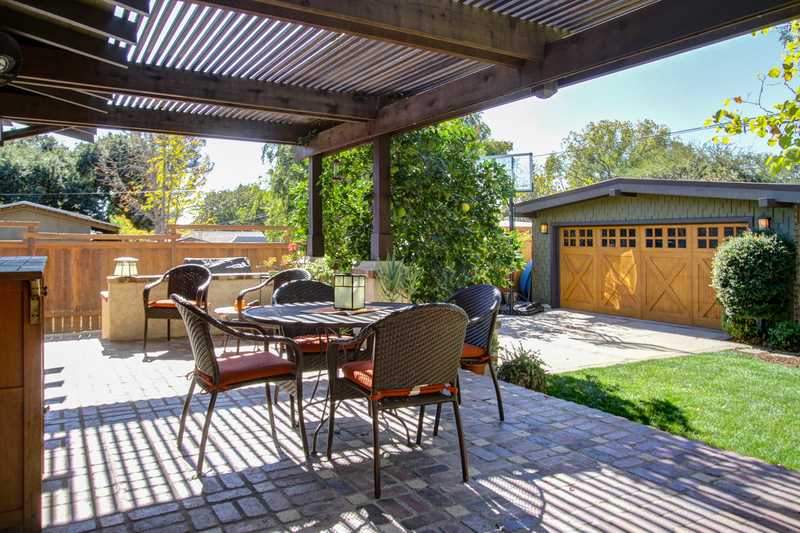 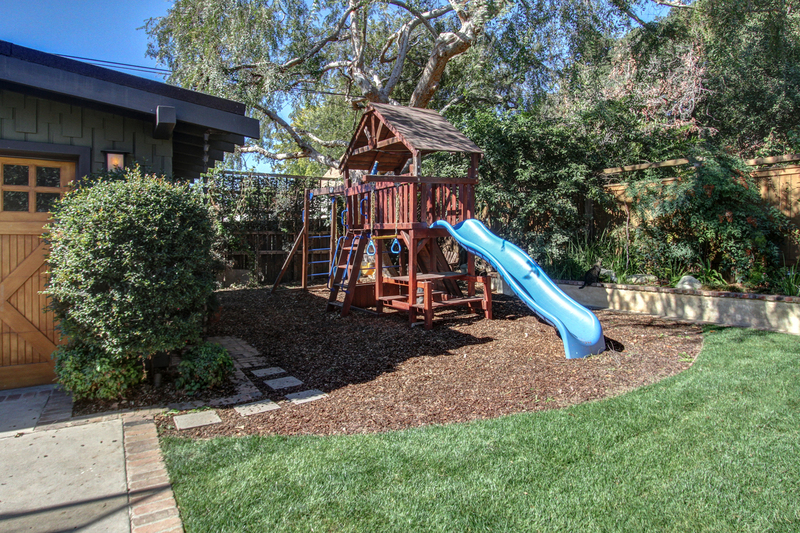 Private and well-suited for entertaining, the back yard has both a large deck with built-in barbeque and a grassy play area. 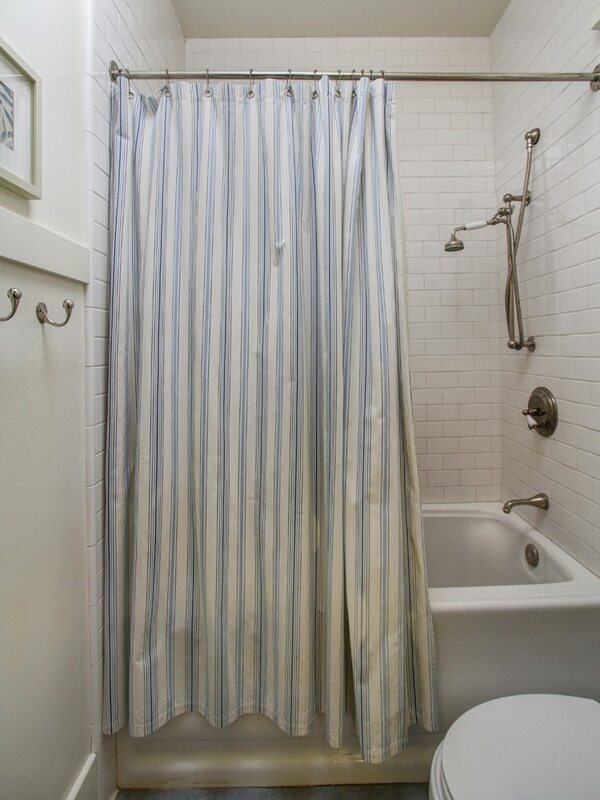 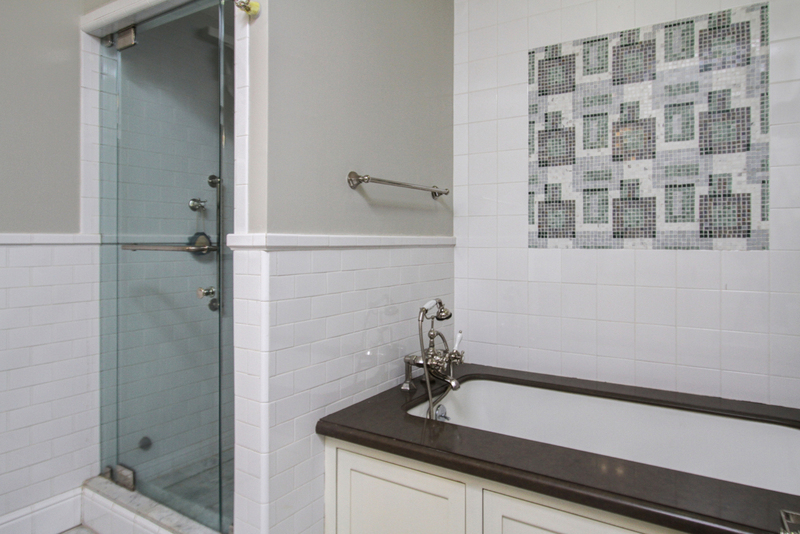 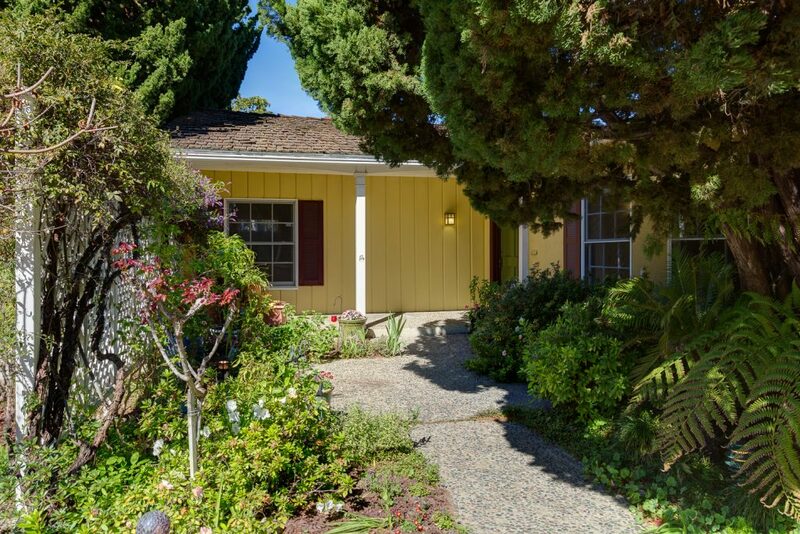 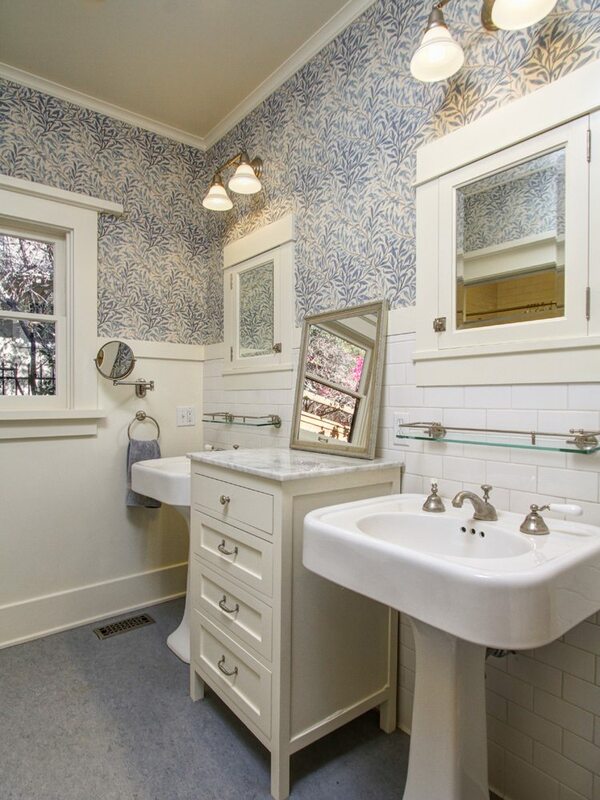 Amenities include dual central heat and air, upgraded plumbing and electrical, plus a newly-built two car garage. 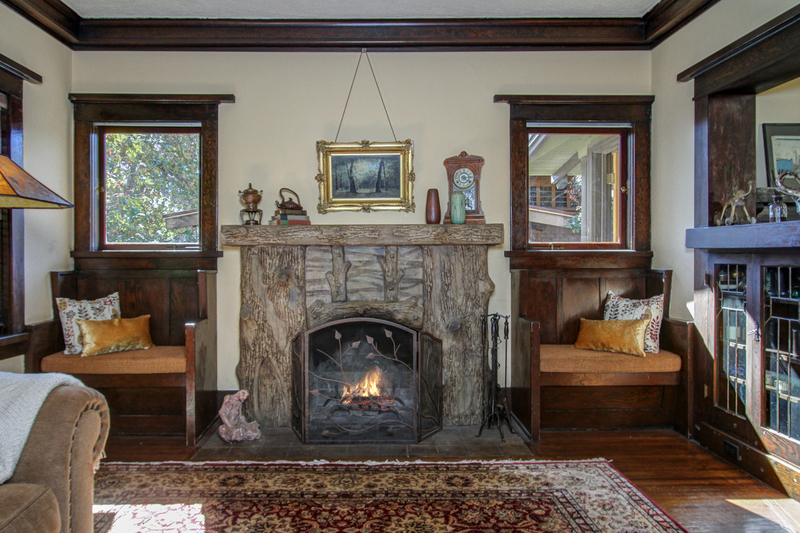 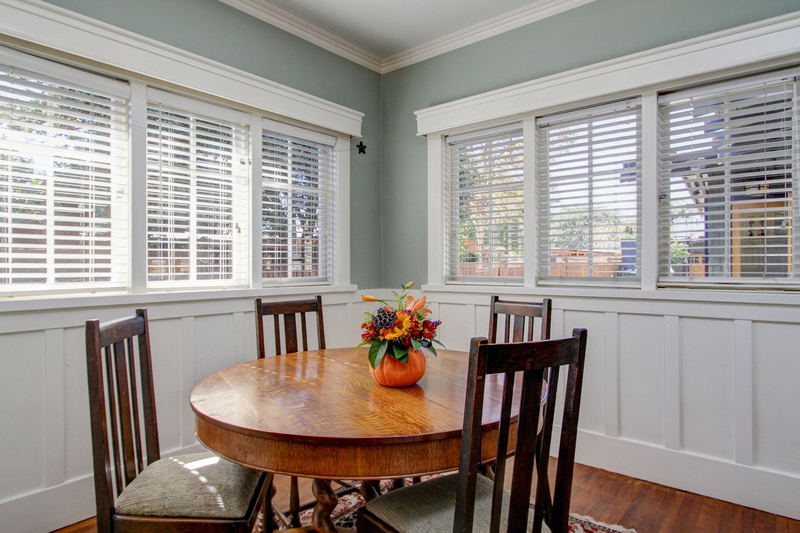 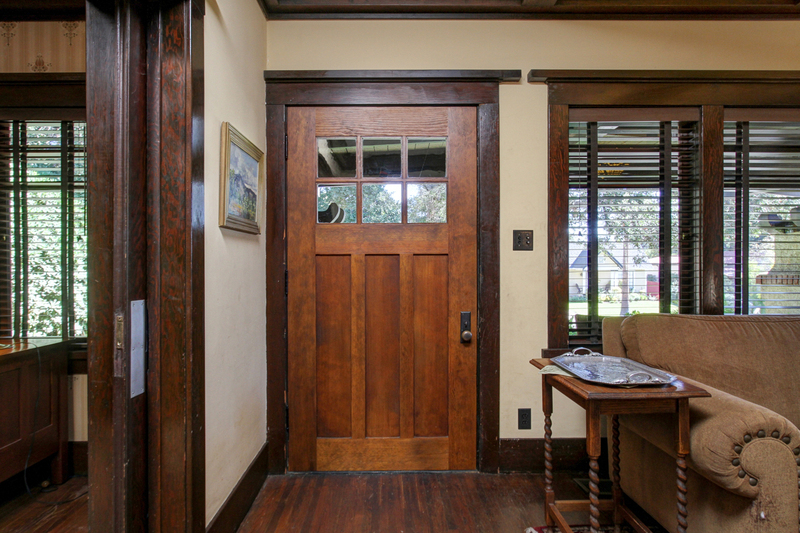 Fine original details and finishes throughout — a rare cast-concrete fireplace, hardwood floors, multi-paned wood windows, dark-stained trim and wainscoting — combine with period-appropriate fixtures, surfaces and improvements, to produce an eminently livable home. 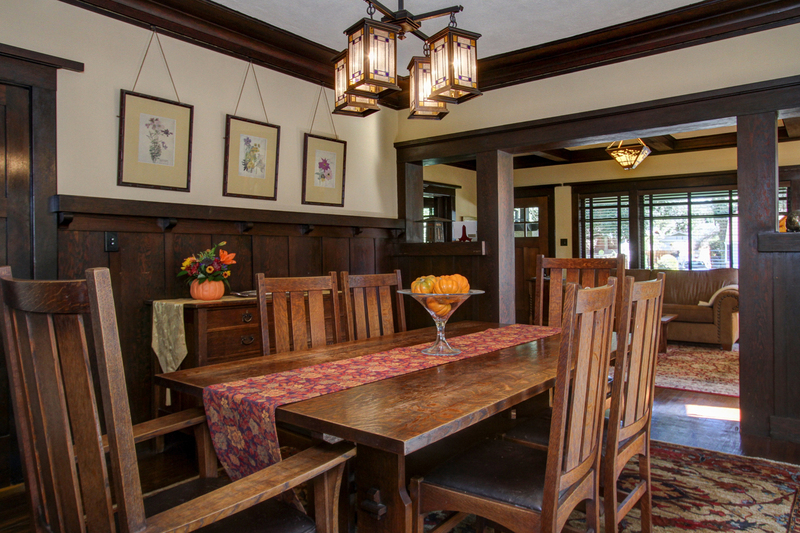 Here is a wonderful opportunity to own an authentic Arts & Crafts treasure!